Abalone shell, or mother of pearl, is a beautiful iridescent material that is currently very popular with jewelry designers. It multicolor beauty is simply stunning and adds an artistic element to each design. These pieces are often accented with cubic zirconia, rhinestones or even diamonds, but the Abalone shell is just as lovely without enhancements. This page features a selection of beautiful abalone shell brooches and pins, which are ideal gifts for any occasion. 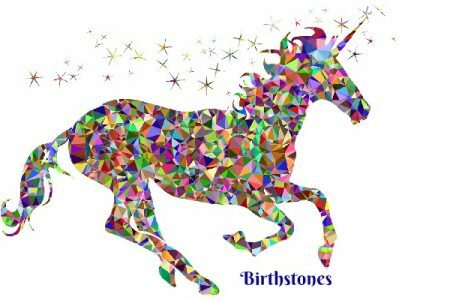 If you are looking for gift ideas for a birthday, anniversary, Valentine’s Day, Mother’s Day, Christmas or just to say I Love You, you will find something suitable here. A new piece of jewelry is always lovely, especially one that could be worn everyday. As you can see for yourself, Abalone shell pins and brooches come in a variety of options. Some are almost whimsical, some have a vintage appeal, while others are quite modern in design. One thing that is for certain, they are all beautiful! Dragonflies and Butterflies are always among the most popular in any brooch design and the Abalone shell brooches are no exception. Either of these insect brooches would be lovely on a scarf, coat or blouse. The Abalone shell gives each piece unique appeal. In some cases, almost an airy feel as if the butterfly or dragonfly is simply momentarily lighting on your outfit, but I promise, they won’t fly away. Many of us enjoy wearing abstract jewelry pieces. The kind of design that each person looking at it, sees something different. These three brooches would fit that preference perfectly and show the Abalone shell in a fascinating and beautiful setting. They are both really intriguing pieces. I would love to hear what you see at first glance when you see these brooches. I would venture to say we would all have a different analysis. The animal brooches are also extremely popular and are stunningly gorgeous! I am definitely an animal lover and I would cherish each and every one of these pins myself. The featured wolf brooch is truly fabulous in this Abalone shell design. He definitely casts his own glow as he is howling at the moon. Although, it might appear as if he is whispering a secret in your ear if you were to wear him on a wide lapel. The horse and elephant are precious! Since so many people love these two animals, of course they are represented in the abalone shell brooch collection. The kangaroo is adorable and almost looks like she is wearing an overcoat or blanket. A coat would hardly be necessary in Australia, but she just might need one is parts of the United States, Canada or Europe. This is a really pretty cat pin featuring rhinestone and abalone. Two cats together will be an ideal gift for any cat lover. This pair of cats brooch would be a lovely gift for a mother and daughter or perhaps best friends to represent the unique relationship between the two. The pin would definitely take a special meaning and significance to the giver and the recipient if they are symbolic of a bond. All Abalone shell jewelry is beautiful. After all, you start with a gorgeous shell. Any piece is sure to be quite lovely and unique due to the shell itself. In fact, no two pieces of Abalone shell are exactly the same, therefore all jewelry made with Abalone is unique. Some of us like Abalone shell just for that reason. We will never see the exact piece on someone else or in their jewelry box. The following designs are quite elegant. They would be a awesome piece for a party, a dinner out or the theater. Of course, they would be fabulous any time, but these particular brooches just seem to scream special occasion. The Phoenix bird brooch pin is accented with crystal rhinestones which have the appearance of diamonds. Using the abalone shell as the bird feathers is a fabulous design choice. 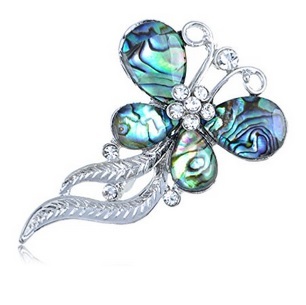 The Abalone shell butterfly brooch pin in the center requires no extra gems or stone to enhance it’s beauty. The Abalone shell wings are stunning on this sterling silver Marcasite setting, which makes the body of the butterfly. The butterfly on the right features abalone shell with it’s shifting colors, accented with dark rhinestones on the butterfly body and wing tips. It also has a real vintage look that is sure to be a big hit. These are such awesome designs! I simply had to feature them separately! I love the way jewelry designers use the Abalone shell for the flower petals and didn’t see a need to surround the pieces with a lot of shiny metal. The Abalone shell is allowed to stand on it’s own without fighting for attention. Please keep in mind that if you purchase any of the featured pins or brooches, all Abalone shell is unique and different. Therefore, the setting will be as shown, but the look of the colored shell will vary from piece to piece. Abalone shell is always beautiful, but I didn’t want you to have your heart set on the appearance of a particular piece of shell and receive something that didn’t have the same lines or color combination. It will be predestined by nature to be original.